This pattern is super cute and its all pieced! 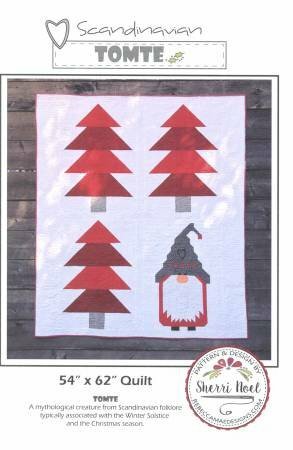 Three trees and a Scandinavian gnome make this wall hanging fun. Its easy as long as you stay organized so anyone from a confident beginner to an experienced quilter can do it. Pattern purchase required.